Having a shark party? 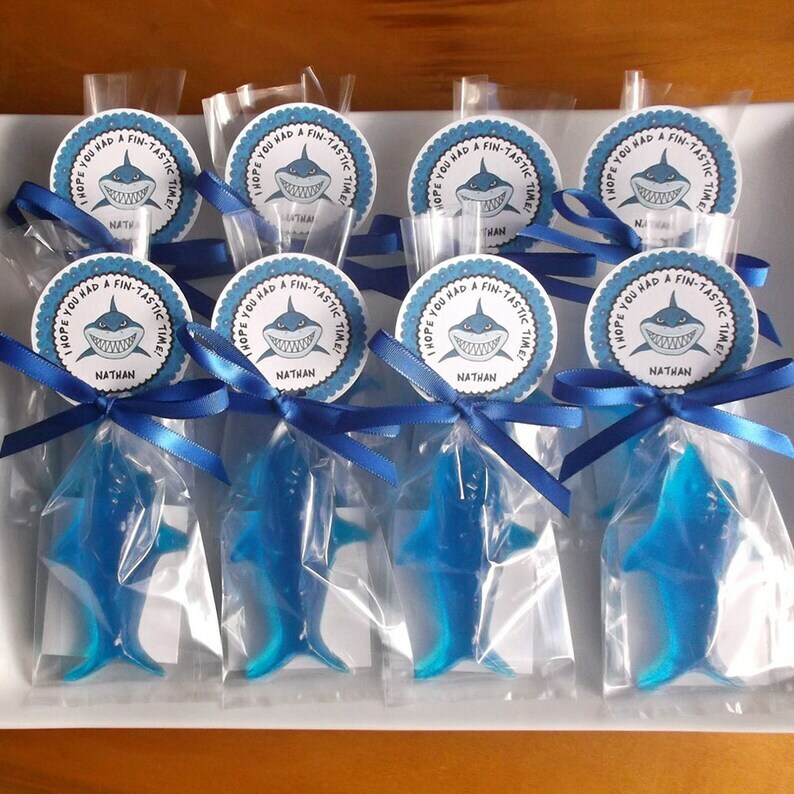 Shark favors are perfect for a shark birthday, pool party, beach party, or Hawaiian luau. These fun kids soap favors fit right in their hands and are great for encouraging children to wash their hands. Includes personalized tags. Set of 15 soap favors in your choice of color and scent. Soap measures approximately 3" x 2" x .75"
2) Ribbon color(s). Shown with blue ribbon. These were such cute favors...everyone loved them! And they smelled great!